We're not all about X's and O's here at SnapCall Sports. We want to inform and enlighten, but at our core, SnapCall Sports is entertainment. 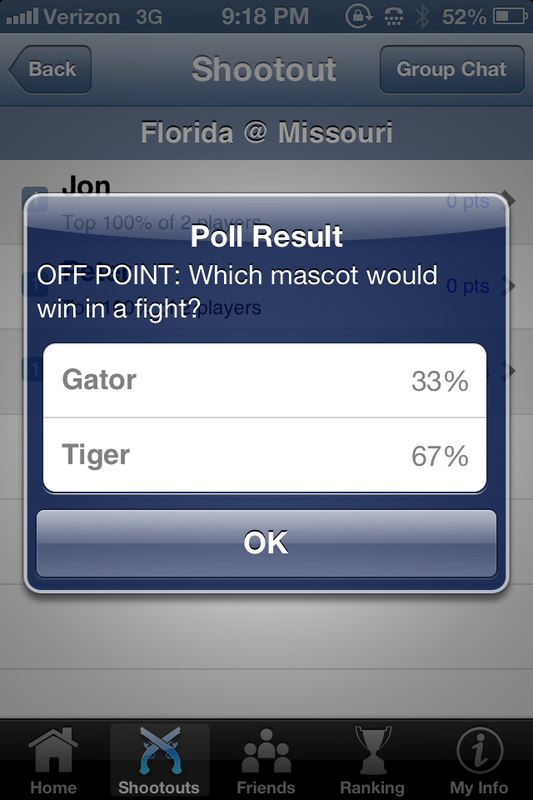 Tonight's matchup between the Florida Gators and Missouri Tigers got us thinking, which would win in a fight? A tiger or a gator? As the results of this SnapCall indicate, the audience agreed that the jungle cat would dominate the swamp lizard. Of course, in the SnapCall offices here in Fort Lauderdale, we have a somewhat different opinion. This video of an alligator taking on a python may change minds. 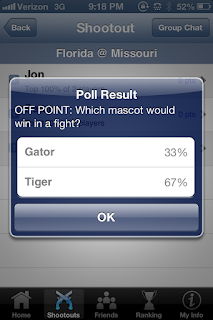 And while any sort of mascot fight remains purely hypothetical, there was nothing hypothetical about Missouri's stunning upset win over the Gators.